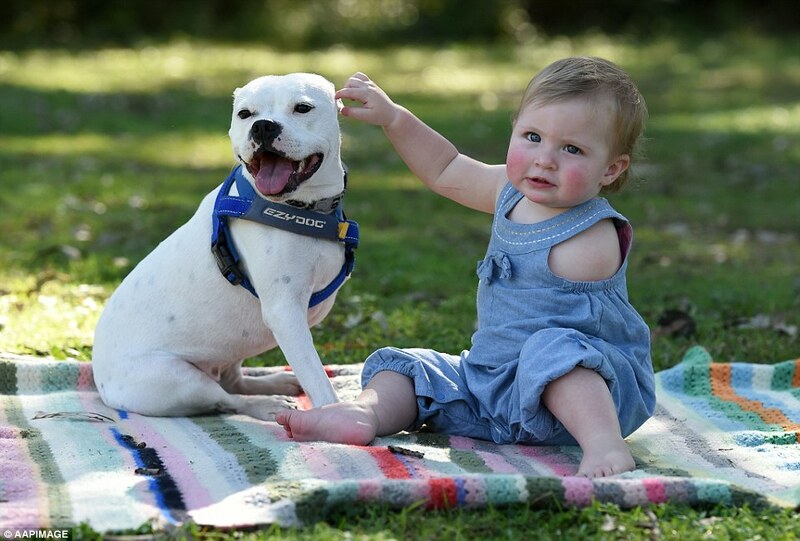 When her mother, Brooke Hodgson, saw the one-year-old Staffy Boston Terrier Cross named Snowy, she knew instantly the hound pound would be the perfect companion for her one-year-old daughter. 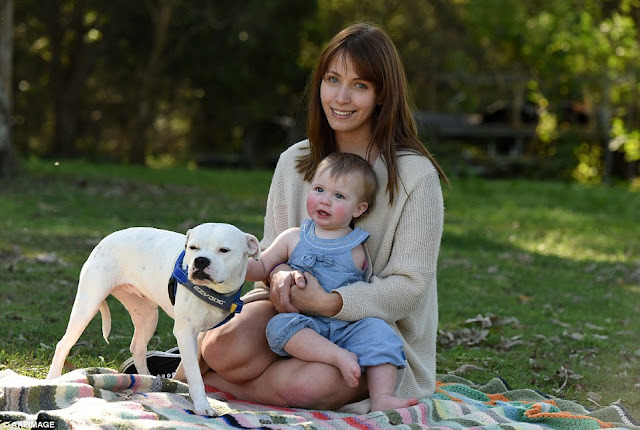 The 21-year-old mother decided to pen a heartwarming email to the Animal Welfare League of Queensland (AWLQ) asking if they could hold the abandoned dog at the Gold Coast rehoming centre. 'My heart skipped a beat when I saw Snowy online,' Ms Hodgson told Daily Mail Australia from her hometown of Loganholm in Queensland. 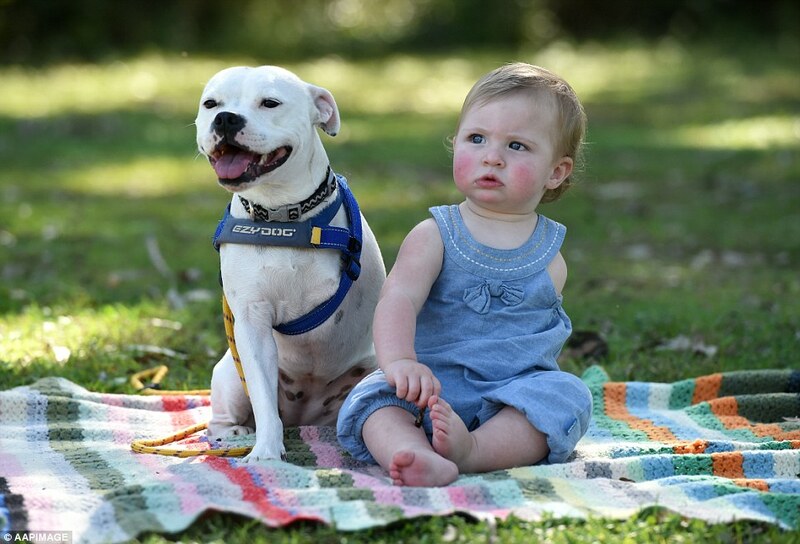 'I knew she was going to be perfect for Ella - they share the same age so they both have a long life of friendship ahead of them. 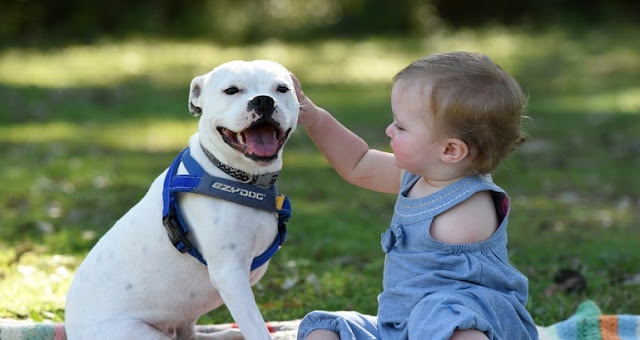 I just know that Snowy is going to give her a confidence boost growing up. 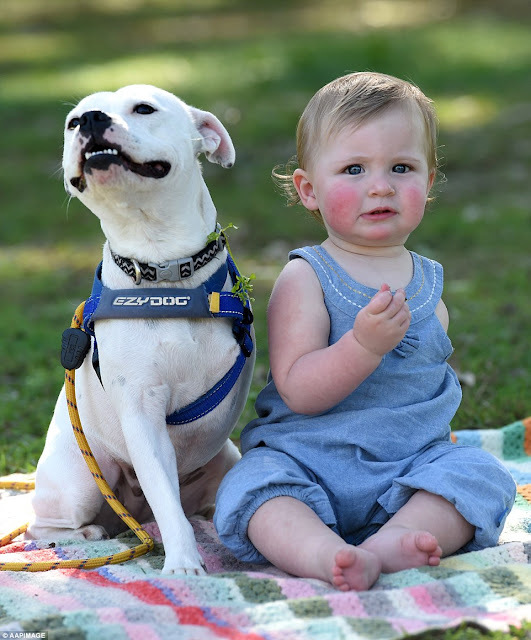 The mother-of-two said she has been touched by the tender relationship between the pair since the lively pup became the latest addition to the family. 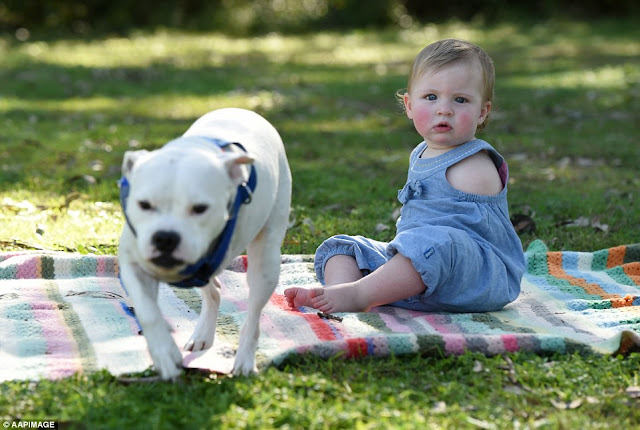 And she believes the affectionate pooch will be by Ella's side - through the highs and lows of her life. 'They snuggle up together and Ella gives her kisses all the time. 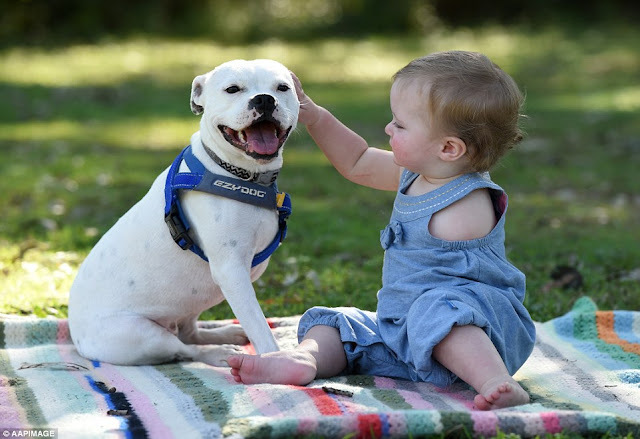 Responses to "The heartwarming bond between little girl born with one arm and her three-legged puppy"